Co-founder of the Partnership, Donna, an interdisciplinary environmental scientist, focuses on human-environment interactions. Her research interests include: quantitative environmental justice studies, air pollution and climate extremes and human health. She has twenty years experience in translating scientific findings into policy in several Asian Pacific countries. Her teaching focuses on linking energy policy, climate change and environmental impacts in Australia. Changes in the frequency and/or severity of extreme climate events have the potential to have profound societal and ecological impacts. Lisa's work primarily focuses on improving our understanding of observed changes in these events using multiple research tools ranging from station observations to climate model output. 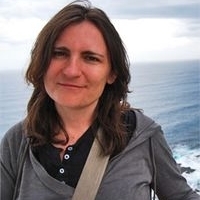 Much of her work has been focussed on the creation of high quality global datasets and comparison with state of the art climate models. Sarah is a 2017 ARC Future Fellow at the Climate Change Research Centre. She has spent her whole career analysing changes in climate extremes in observations and future climate projections from physical climate models. Her current research focuses on robustly identifying the role of anthropogenic climate change behind high-impact heatwaves and their influences on human morbidity and mortality. Previously she was an ARC DECRA fellow, where she researched the various ways in which to heatwaves, their observed trends and projected future changes, the underpinning physical mechanisms that drive heatwaves and the role of internal climate variability on heatwave trends and projections. Steven studies how the various processes in the atmosphere conspire to establish climate, how these processes might be expected to control the way climate changes, and how the atmosphere will ultimately interact with the oceans and other components of Earth. Clouds, water vapour and atmospheric convection (for example, storms) in particular remain poorly understood in many respects, but are very important not only in bringing rain locally but also to global climate. These topics are studied by way of theoretical modeling, analysis of detailed simulations of physical processes, and statistical methods applied to observations. Jason is interested in regional scale water resource issues, particularly the impact on water resources of changes in climate and changes in land-use. He uses various tools to examine the changes including regional climate and surface hydrological models, along with remotely sensed satellite & in-situ data. Co-founder of the Partnership, John is a NHMRC Senior Principal Research Fellow and UNSW Scientia Professor. For over 25 years he has built and led internationally recognised research programs on the epidemiology and prevention of infectious diseases. His research has covered a wide range of projects, including the development and implementation of public health surveillance systems, investigations of infection-related cancer, cohort and cross-sectional investigations of risk factors for infectious disease transmission. Nick is an epidemiologist and toxicologist with research interests in using environmental epidemiology to examine aetiology and pathological pathways of disease. He has worked on a range of projects examining environmental exposures and health outcomes including exposure to metals, pollen, mould, chronic exposures to low levels of chemicals, pesticide and cyanotoxins. He also has experience examining how exposure to environmental may increase health and wellbeing. He has developed skills in the linkage of environmental and population health data in an interdisciplinary context. Jal is based in the School of Public Health and Community Medicine at UNSW. His main research interest is in the health effects of outdoor air pollution. He has studied the associations between outdoor air pollution and birth outcomes, emergency department visits, hospitalisations and mortality. He has studied the effects of air pollution on children's lung function and symptoms. Current research includes the development of methods to measure exposure to traffic related air pollution, refining methods for conducting cost-benefit analyses in air pollution and health and a multi-city study of outdoor air pollution and children's lung health. 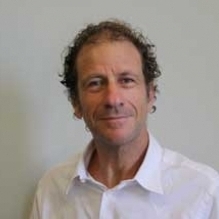 Dr David Muscatello is a Senior Lecturer in infectious diseases epidemiology. He has many years' experience in government as an epidemiologist specialising in acute disease surveillance using administrative databases, public health intelligence and biostatistics including time series analysis. He played a major surveillance role in the NSW government response to pandemic influenza in 2009 and has served on the Australian National Influenza Surveillance Committee. He is particularly interested in the use of time series analysis for estimating mortality and morbidity from infectious and other diseases and for assessing the impact of health policies on populations.